Children are are always welcome in worship with their parents. Kids' Bibles, activity sheets, and crayons are easy to find as they arrive. 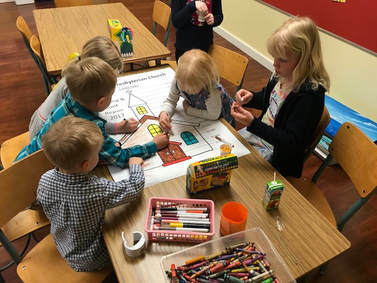 After a brief message led by our Children's Ministry Director in front of the sanctuary, they are invited to head downstairs to their classes. As they go, they exchange a blessing with the rest of the congregation: "May God be with you here. May God be with you there." 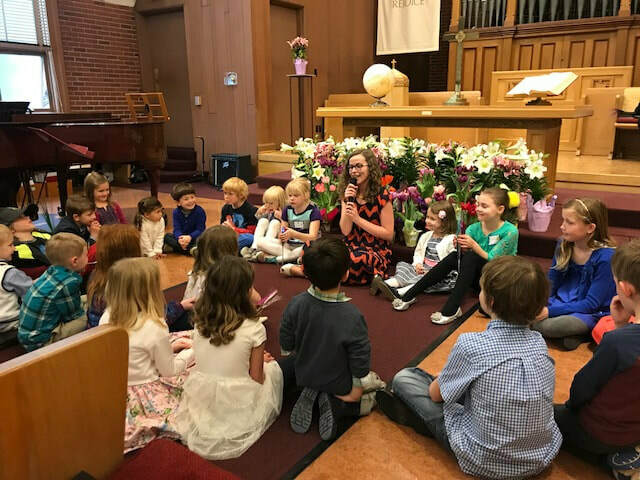 Once downstairs, class time begins with lively singing led by our Music Director, before we separate into our two age groups for stories, prayer, and snack time. We end with either free play (BLAST Junior) or "Stations" (Big BLAST) during which the kids have a chance to choose their own favorite activity. Our MPC kids are a vital part of our outreach as a congregation. 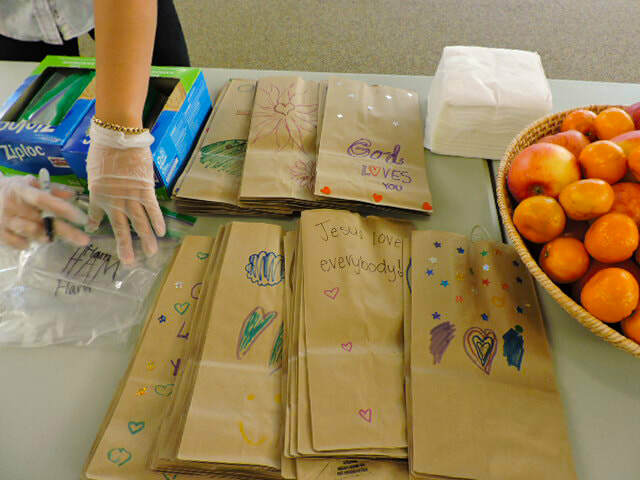 They thoroughly enjoy helping to decorate and pack bag lunches on the first Sunday of every month for neighbors experiencing homelessness. They collect canned food at our local QFC grocery store during our annual fall food drive, and they share gifts for foster kids as part of our giving tree program at Christmas.